The birth of Jesus took place in Bethlehem. On that night, the village was overflowing, the inn was full, and Mary and Joseph were given a place to rest in a crowded animal shelter. Jesus was born in a lowly place. Yet, it was a fitting place to display the humility of Jesus, who did not consider equality with God something to be grasped, but made Himself nothing, taking the very nature of a servant (Phil 2:6-7). Mary took her infant, wrapped Him in cloths and laid Him in a manger. As a mother, I remember wanting everything that touched or surrounded my babies to be sterilized. How did Mary feel when she placed her newborn in a dirty, wooden feeding trough? 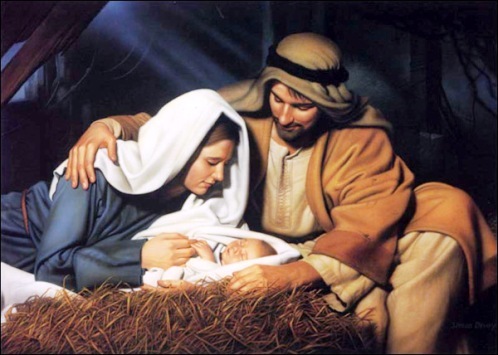 A manger became the bed of the King of Kings. Our Holy Savior inhabited that which was not clean. At the very beginning of His life, our Lord portrayed His mission—to inhabit that which isn’t clean. A baby in a manger may be appalling, but it is even more appalling that the Spirit of the Holy God indwells sinful man. Without Jesus, all men stand unclean before God. Even one sin soils us. Yet, Jesus enters the lives of those who believe in Him. To us believers, He imparts His righteousness, and we are declared clean in the eyes of God! As He dwells in us, He continues His cleansing work by empowering us to turn from present sin and follow Him. At the beginning of His earthly life, Jesus was laid in a wooden manger. At the end of His earthly life, He was hung on a wooden cross. His life, death and resurrection have accomplished salvation and cleansing for all who believe. Rejoice, believer! Through faith in Jesus, your sins have been removed. Jesus has made you clean! Jesus, thank You for inhabiting my life and cleansing me. I ask that You increasingly make me into a fitting place for You to dwell.